ANDOVER, Mass.—Innovative Chemical Products Group has acquired Fomo Products Inc. to expand its position in the polyurethane sealants and adhesives sector. 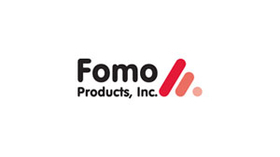 Fomo is a producer of low pressure one- and two-component polyurethane foam sealants, adhesives, pour-in-place and spray foam used in pressurized, disposable and refillable packaging. The acquired business will be integrated into ICP Adhesives and Sealants Inc., a division of ICP Group, an ICP spokesman said. Headquartered in Norton, Ohio, the business is a good fit with ICP, principally because of the complementary cultures of the companies, according to Stefan Gantenbein, who was president and chief operating officer of the acquired firm. Gantenbein has been named division president of ICP Adhesives. The remainder of Fomo's management team and its work force at the Norton plant also will remain on board and will assume their respective roles within the ICP Adhesives division, the spokesman said. He said the firm “was a smart acquisition for ICP for multiple reasons. First, both are leaders in their market verticals for pressurized foam adhesives, sealants and insulation, but they do not directly compete in any markets, so the acquisition is truly additive. In terms of products, ICP Group gains a significant line of polyurethane systems, additives and insulation with the addition, according to the spokesman. He added that it expands ICP Adhesives' offerings into the residential, commercial and original equipment markets. The division will continue to produce and market Fomo's primary brands—Handi-Foam, Handi-Stick, Silent-Seal and others. As part of ICP Group, the ICP Adhesives division and Fomo have an opportunity for continued growth and added strength through combined raw material purchasing, technological collaboration and shared service, ICP said. Overall, the spokesman said, Fomo will benefit from the proven track record of ICP leadership, the extensive resources provided by the ICP Group, the expanded capabilities and technologies available at ICP Adhesives' Tomball, Texas, and Coral Springs, Fla., production plants, and the additional cross-sell opportunities to the ICP Adhesives business. Headquartered in Andover, ICP Group was formed in mid-January by private equity firm and parent Audax Group through the combination of Nicoat, a formulator of specialty packaging and printing coatings, and California Products Corp., a provider of premium agricultural interior and exterior paints and stains, tennis court and other sports surface coating systems, and specialty abatement products. Audax purchased Nicoat in March 2015, and it acquired CPC in October 2015.